Well, we can’t ignore the fact that Bollywood inspires and aspires our lives in a big way. At some point or the other, our films, and actors inspire us all and either we aim at copying them, owning the same stuff or straight away stepping into their shoes. Even when it comes to weddings, we all have dreamed of those happy filmy weddings in some way. Remember Hum Aapke Hain Kaun, the idea of big families sangeet got inspired from there. The Bahu-Aagman function in Hum Sath Sath Hain added to the list of various wedding functions. Recall that Mandap set in Kal Ho Na Ho decorated with Kaliras, well it did become a rage. And of course, styling and clothes have always played a huge impact. Madhuri’s Purple Saree in Hum Aapke Hain Kaun, her Triangle Necklace in the wedding sequence of the same film. Aishwarya’s jewelry and saree styles from Devdas, Alia’s Lehnga in Student of the Year, all these have got the girls drooling. 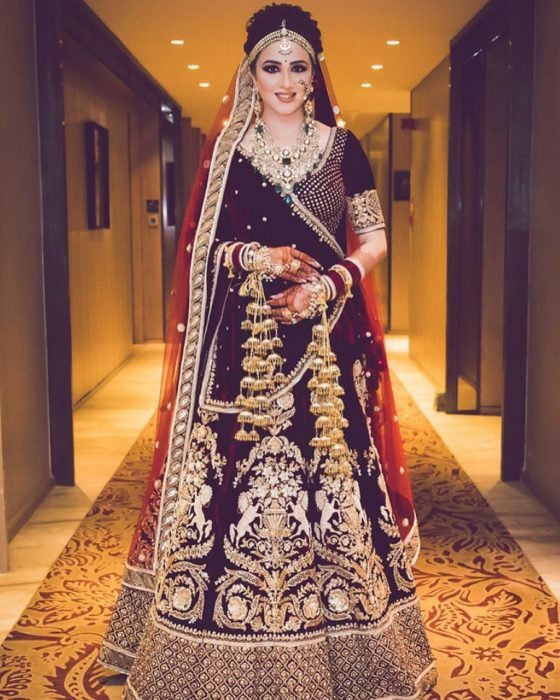 Every girl dreams a Sabyasachi Lehenga or a Manish Malhotra Saree for her wedding. And who said the men are any behind, Shahrukh’s heavy embroidered kurta’s from Kal Ho Na Ho and Kabhi Khushi Kabhi Gham, had all men wanting the same, and now Varun Dhawan, Siddharth Malhotra, Ranveer Singh and Ranbir Kapoor have added layers of modern styling to these Kurtas and made our boys dig for them. 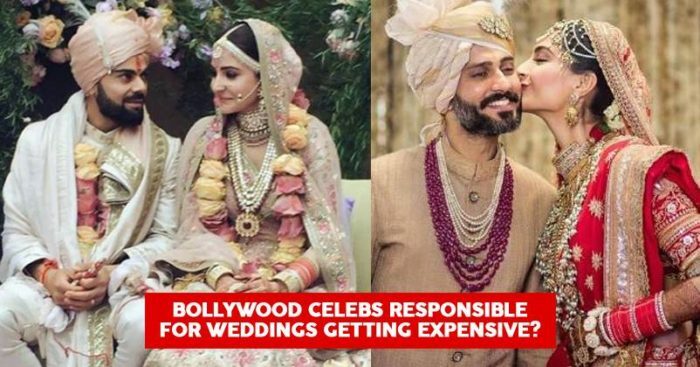 From reel to real, now the actual Bollywood weddings are inspiring and making couples splurge money on their weddings in a big way. 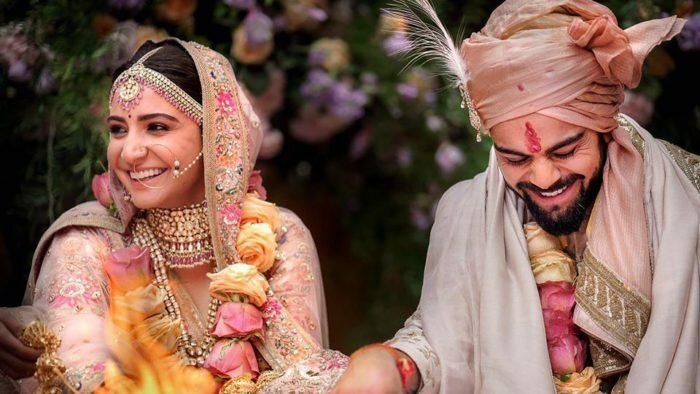 Virat-Anushka’s multi-crore wedding is the latest example. Couples have started dreaming and planning such fantasy come true weddings. The girls not only wanna dress up in an elegant way like Anushka, but also the lush and extremely exquisite venues are being looked upon. But is at all worth? For those who can afford, good, but what about those who can’t afford so much but still go overboard to make either their children or the groom’s family happy or even sometimes to create their own image in front of their relatives? Add to this the latest stats of increasing divorce rates, do you really think its worth to splurge your, or your parent’s hard-earned money on big elaborate weddings, entertaining tons of guests. Let us know your views on the same.